Groot might not have a large enough vocabulary to sing any traditional carols, but that doesn’t mean he isn’t filled with holiday spirit. The Guardians of the Galaxy member is taking a break from saving the universe to stand in for the traditional holiday tree. Spider-Man’s leaping onboard the ugly holiday sweater bandwagon while maintaining his Super Hero flair. He’s also taking a break from battling Super Villains to indulge in some eggnog, holiday shopping, office parties and caroling. Marvel’s Hulk is ready to smash the holidays. Judging by the beautiful wrapping on the presents he’s holding, the Hulk clearly has hidden talents. 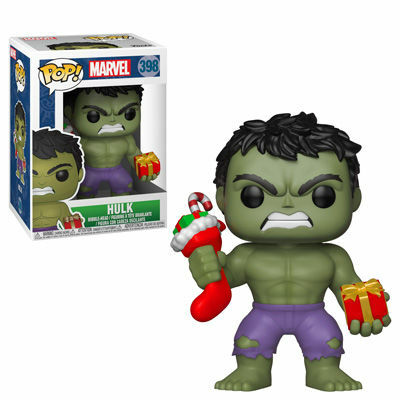 From office parties to white elephant gift exchanges to caroling, the holidays are just better with this Hulk Pop! 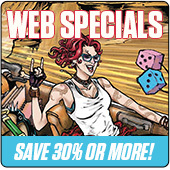 If anyone knows how to party it’s Marvel’s merc with a mouth. Marvel’s Deadpool is taking a break from fighting Super Villains, though probably not from his snarky commentary, to celebrate the holidays. Wielding a pair of candy canes, the Deadpool Pop! is clearly eager to deck the halls. Legal Notice: Entire contents trademarked (® or TM) and copyrighted (©) 1986-2019 by Things From Another World, Inc. and respective copyright and trademark holders. All rights reserved. Page rendered at 2019-04-19 01:29:18 in 0.247 seconds.